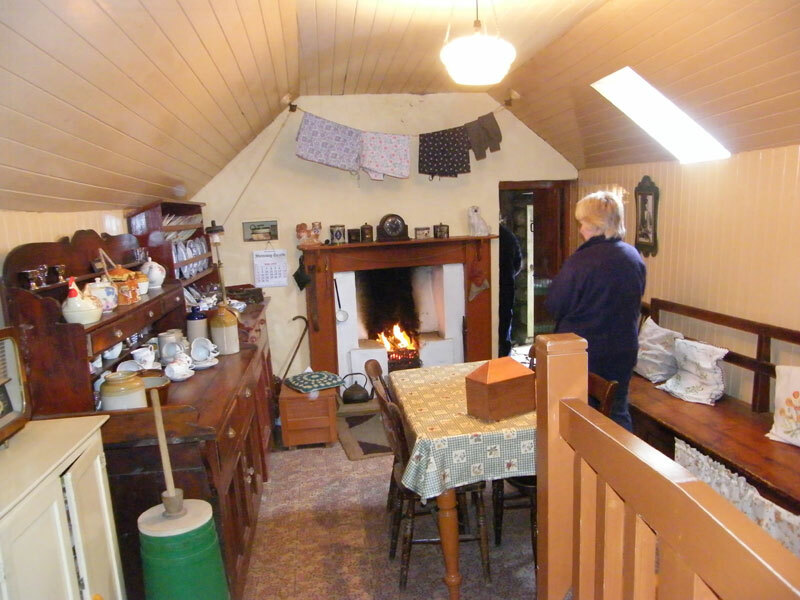 Blackhouses were so named not because of the fact that they were in the early days smoke filled and had small windows, but because they were compared to new houses being built in the late 1800’s which were called ‘white houses’. The new ‘white houses’ were designed to separate humans from their livestock and animals. 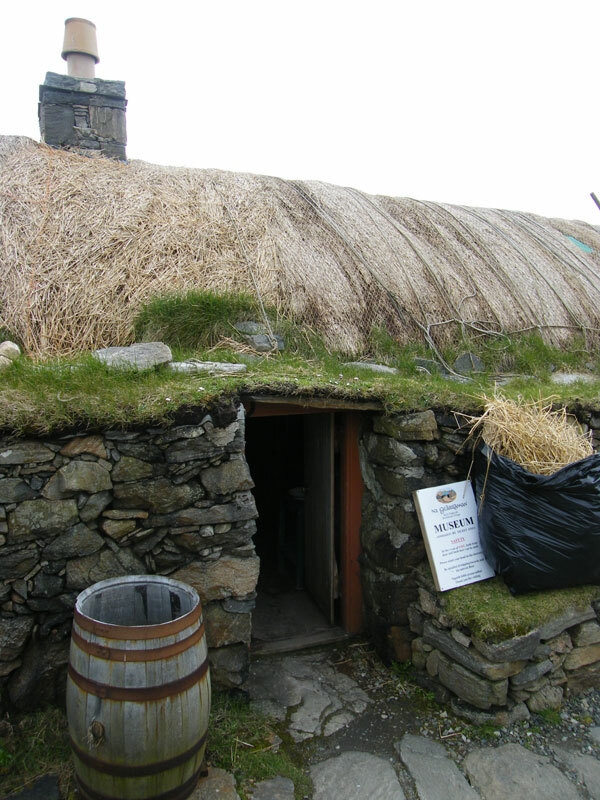 The design of a blackhouse originates back several thousand years, as does the constructional method. 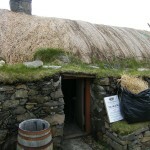 The building consists of two concentric dry stone walls with a gap between them filled with earth or peat. 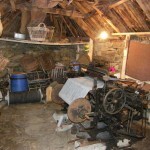 The roof was either thatched or made up of turfs and constructed upon a wooden frame. The frame was supported by the inner wall, which gave the characteristic look of a shelf around the outside of the building. 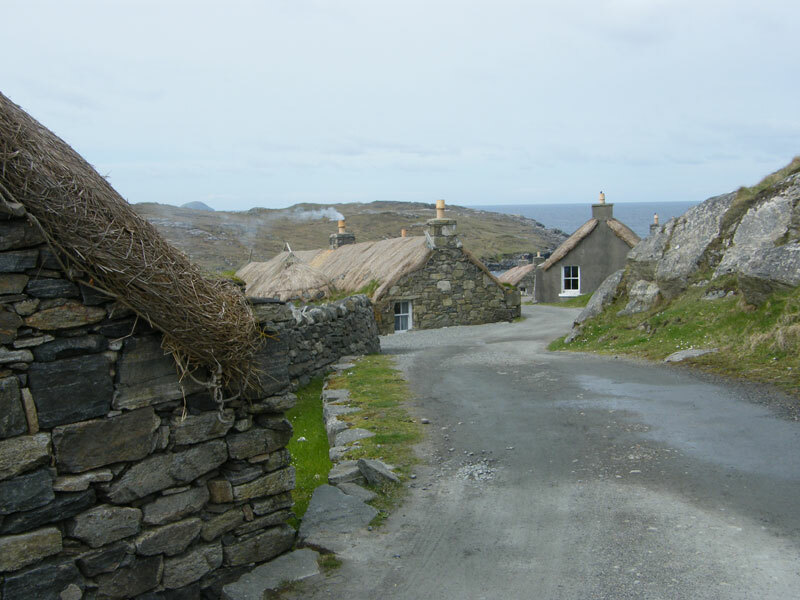 As the roofing material had to withstand quite extreme weather conditions at times, the roofing material was often secured down by using netting with large stones tied at the ends. 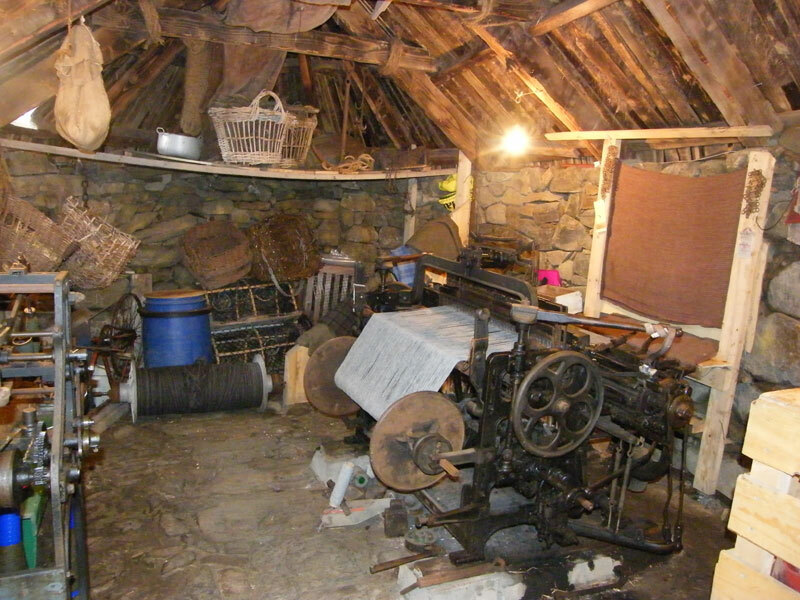 Unbelievably, some of the blackhouses were still inhabited until the middle 1970’s, although it has to be said some blackhouses had fireplaces and chimneys, instead of the chimney free traditional construction. 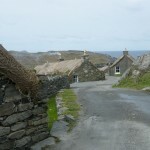 On Lewis, the best examples to view are at Gearrannan, where it is possible to see a range of houses all in one place. 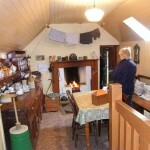 The centre has a Museum and cafe as well as well renovated blackhouses.